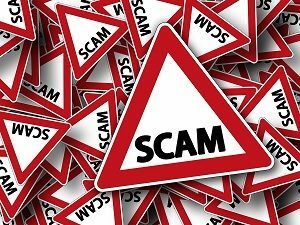 The Federal Trade Commission (FTC) recently issued a public service announcement regarding the growing number of Social Security related scams they’ve been getting reports about. In 2017, just 3,200 people called to report instances of SSA Voice Phishing (called ‘vishing’), with total 2017 losses amounting to some $210,000. In 2018, that number swelled to more than 63,000 with losses in excess of $16.6 million. Even worse, these statistics don’t tell the full extent of the story or the amount of growth. That’s because of course, not everyone who falls victim to such scams calls in to report them. So the overall number and the corresponding dollar amount lost is no doubt much higher. As to the scam itself, there are obviously a number of variations, but broadly speaking, they all follow the same basic script. A scammer calls, pretending to be someone from the Social Security Administration. They inform the person they are calling because suspicious activity was spotted as relates to the person’s account (credit applications and the like). This, they inform the potential victim, has caused their social security to be blocked and suspended, and warn the victim that it’s possible that their bank accounts may be seized as a result of the suspicious activity. It’s ham-fisted and transparent, but it works a shocking percentage of the time. Fearful of being cut off and potentially locked out of their life savings, the victims proceed to gladly hand over any and all information the phony SSA official says they need to put the matter right. That of course includes verification of the victim’s social security number and all their banking information. Needless to say, it doesn’t end well for the person who hands over all this information. Be aware of it, and make sure any seniors you know are aware of it too. Anything we can do, collectively, to help stem this tide is a very good thing.